Sometimes photo missions just don’t go the way you would like them to. 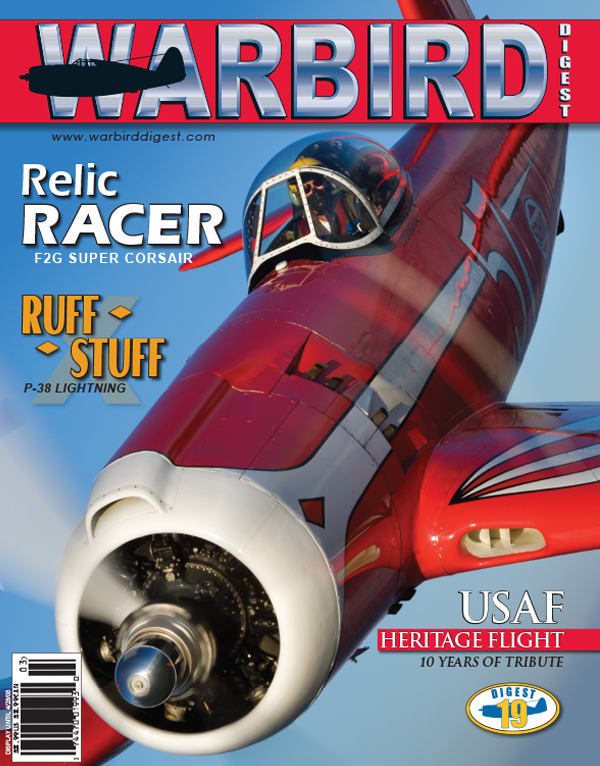 Warbird Digest photographer Scott Germain shares what it sometimes takes to get the photos that illustrate this magazine. Not exactly your typical airshow, a cruise on the S.S. John Brown offers the opportunity to step back in time to relive what it was like for thousands of U.S. Service who set out across the high seas to meet the enemy. Steve Chapis had the opportunity to sail aboard the preserved Liberty Ship and brings the experience to readers of Warbird Digest. Few airplanes invoke the memory of the 1940s air racing more than Bob Odegaard’s F2G Super Corsair. Scott Germain sat down with Odegaard to discuss restoring and flying the machine. Paul Bowen provided the stunning photographs. Jim Russell recently revisited with the crew of the Commemerative Air Force’s B-25 “Yellow Rose.” For many years this group of dedicated individuals has operated the vintage bomber at airshows across the United States.